Aerosol powder dry shampoos explode and get flammable quite often in any uncertain situation. Powder Dry Shampoo clog up the follicles to get allergy, inflammation, swelling, pus, hair loss, blisters, baldness, and obstruction causes folliculitis. On the contrary, the harm of alcohol is almost none so mostly the critics are rumors. Because whenever we have injections in the hospitals, alcohol is always the best solution to disinfect our skin, and there are very few people get allergy after applying alcohol. 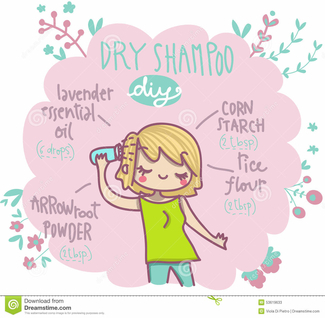 Tons of reports are about downsides for using dry shampoos too often, not only between water washes but every day. 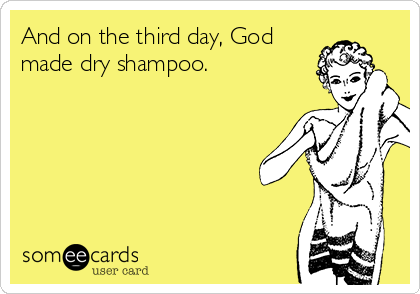 Actually, there is one Dry Shampoo for using continuing more than a month by every day. Proves from Chinese mothers using Faciano Dry Shampoo during postpartum rest without washing hair the whole month. Because it’s not made of aerosol bottles, one bottle for use much longer than the others. Faciano Dry Shampoo is not made of powder so without residue. It also nurtures and moisturizes hair with softness and shine. The scalp would be clean, no odor, and no grease, gets much healthier. Dry Shampoo is for whenever no water, time, or not convenient to clean hair when feeling greasy, smelly, and itchy. Itch only happens in the scalp, and hair would only become dirty. If no any symptom above, not need to wash hair at all. Washing hair daily damages scalp and hair, also wastes time, water and electricity. Only dry shampoo can save. The scalp secretes healthy oil, and washing away would make scalp secrete again and cause greasier or too dry every day. The regular shampoo has dilemma: the scalp should be clean and less oily, but the hair should be nurtured and nourished to prevent dry-split. Anti-oil and nourishment are two opposite effects, can't be done in one time by shampooing. Double-effect or dimethicone shampoo with cleaning and nurture combined harms hair, since conditioner stays on scalp cause abnormal oil secretion. Bacillus detritus over-produces to accelerate dandruff, dermatitis, or even hair loss. Otherwise just do conditioning after shampooing. Almost no dry shampoo can do both cleaning and nurturing at the same time, only Faciano Dry Shampoo does. Aerosol Spray Powder: The most brands. Not allowed to carry on to the airplane. Hair looks not good since its powdery. Good smell is from artificial flavors to cause allergy. Non-Aerosol Powder: All powder. Like aerosol but different powder colors. Same problem that powder is sticky on scalp with sweat and oil, very gross. Water Spray: For whoever sick in bed or Chinese postpartum resting mothers. After using, hair looks like water wash. Seems much cleaner than the other dry shampoos, but still need to dry out. Mousse Form: It gets wet too and hard to dry out. Paper Towel: Fix up a small part of greasy hair temporarily, not clean enough. Rinse Free Shampoo Cap: Good for patients and gets very wet like water wash, needs to dry out hair. Faciano：Just put on hair and some rub off. Butane, Isobutane, Propane: Micro-toxic and volatile, and easy to cause heat explosion. Oryza Sativa (Rice) Starch: An adsorbent made of vegetable such as rice, tapioca, or corn starch. Powder residue on the scalp would mix with the scalp's oil and block to cause folliculitis combined a layer of nausea. It covers the pores. Plus, vegetable starch is very easy to absorb water, more happens in the sweltering environment, bacteria or mold may easily be grown. Denatured Alcohol: The alcohol content of dry shampoo is less than 30%, and people are very rare allergic to alcohol. Skin reaction to alcohol is very clearly safe when wiping alcohol before doing injection. Therefore, alcohol is safe on human scalp. Fragrance: Artificial made to cause irritation and swelling. Limonene, Linanool, Geranol: Among the most commonly used artificial flavors, it can induce depression and even life-threatening respiratory diseases. Distearyl Aimethyl Ammonium Chloride, Cetrimide: Irritating to sensitive skin. Cetrimonium Chloride: Causes allergy to sensitive skin. Caprylyl Glycol, Dipropylene Glycol: Could be depression, drowsiness, skin irritation, dermatitis and hives. Hydrated Silica: Residue may stay on the head for a long time. Zeolite: Skin rash, eczema, exacerbation of asthma or asthma attacks, anaphylactic shock and even death, depression of the bone marrow leading to low counts of red blood cells, white blood cells and platelets, anemia, infections, increased bleeding tendency, kidney damage/failure, liver damage and damage to the brain leading to a decline in cognitive function. Hydroxypropyl Cellulose: Eye pain, redness/irritation, and swelling, vision changes. Ethylhexylglycerol: Reproductive disorders, carcinogen contamination, proven cancer risk, endocrine disruption, organ system toxicity, and skin irritation. Phenethyl Alcohol, Hexyl Cinnamal: Artificial flavor. Benzyl Benzoate: May irritate skin and eyes. Coumarin: Liver damage, cancer, mouth sores, low blood sugar, breathing problems. 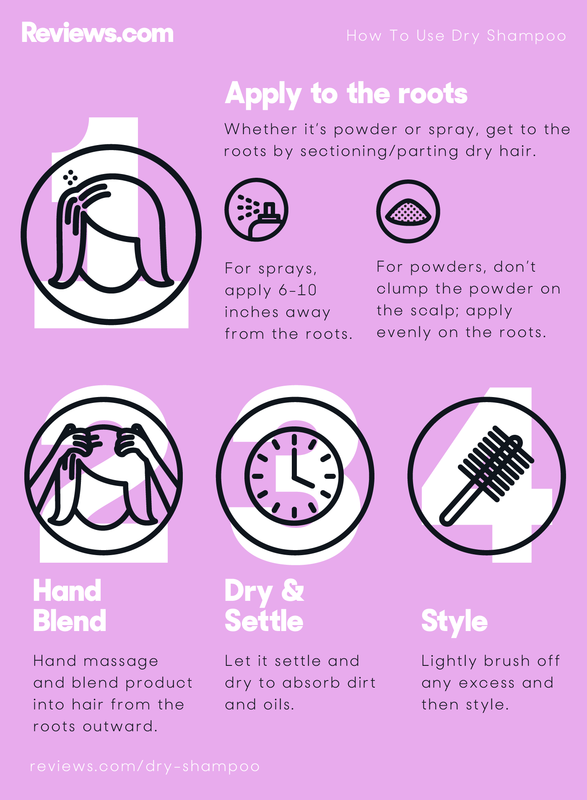 "Spray powder" dry shampoo drawbacks: The powder structure can cause inflammation of the scalp, and so many chemicals are long-lasting damage to the skin. About alcohol, there is almost no harm to the scalp. Not having aerosol or liquid. It is like a can of powder, but the content of powder is not the same. The same problem is that it blocks the pores. Powder, Magnesium Carbonate, Talcum Powder: Talcum powder has been confirmed to be related to ovarian cancer, also cause inflammation with aforementioned rice and tapioca starch. Citral: Flatulence, tiredness, mood swings, diuresis, stomach cramps, and agitation. Starch Octenyl Succinate Aluminum Salt: Long-term use is toxic to human nerves and can also affect the skin. Acrylate Polymer: Polymer powder, low oil absorption. Oryza sativa (rice) bran oil: Some few itching and skin redness. Beta Glucan: Might cause cancer. Titanium Dioxide​: Causes skin sensitive. "Pure powdered" dry shampoo disadvantages: Residues of powder can cause inflammation of scalp and blockage of folliculitis. Some dry shampoos contain too much chemicals and are harmful to the skin for a long time. Triethanolamine Lauryl Sulfate: May cause eye and skin irritation. Propylene Glycol: Skin Irritation, allergic reactions, potentially toxic to the kidneys and liver. Probably not safe for infants or pregnant women. Has Neurological symptoms, cardiovascular problems, respiratory Issues, potentially bio accumulative in certain cases. May be a pathway for more harmful chemicals. Cocamidopropyl Betaine: Skin and eye irritation, itching, blistering and burning sensations. Mostly on the head, neck, back and upper extremities. Serious eye and skin damages, and chronic allergic skin reactions. Very toxic to aquatic life, and residues may have long-lasting effects on aqueous organisms. Diazolidinyl Urea: Develops nasopharyngeal cancer. Affects central nervous system, mucous membranes, headaches and depression. Detriments bone and muscle health. Joint and chest pain, fatigue and dizziness. Immune dysfunction and eye damage. Contaminates waterways, negatively impact aquatic ecosystems and animals. Methylparaben: Breast tumors, mimic estrogen, and affect the growth of breast tissue. Water no rinse shampoo: A lot of liquid contained to make hair not easy to dry out, and too many toxic components. TEA Lauryl Sulfate: As describe above. Cocamidopropyl Betaine: As describe above. DMDM Hydantoin: Irritation, itching, burning, scaling, eczema, reddening and blistering. Skin cancer. Irritation in the eyes, nose and throat. Cold or flu-like decongestion, minor to major respiratory problems including asthma. Inner ear problems, ear infections, headaches. Chest pain, chronic fatigue, depression and insomnia. Leukemia or cancer of the blood cells. It contains Formaldehyde to impair the immune system. Disodium EDTA: Abdominal cramps, nausea, vomiting, diarrhea, headache, low blood pressure, skin problems, and fever. Too much can cause kidney damage, dangerously low calcium levels, and death. Limonene: Might cause breast cancer. Butylphenyl Methlyproprional: Irritation, allergy, dermal sensitization. Amyl Cinnamal: Allergy and potential sensitization. Geraniol: Irritation, especially contact or allergic dermatitis. Waterles Foam Shampoo: Like No Rinse Dry Shampoo, too many toxic ingredient and not easy to dry out. Organic Sambucus Nigra flowers(Nibì): Moisturizes, immediately stops discomfort for the sensitive scalps, retains water and condition. Vitamin B3: Anti-oxidation of the hair and provides moisture and gloss. Yeast Extract: Repairs damaged hair. Calms and prevents allergic reactions. Horse Chestnut: Enhances hair shine and saturation. Pore minimizing, sebum brilliance. Vitamin B5: Improves hair luster, prevents hair loss, promotes hair growth, reduces split ends, and prevents fracture. Moisturizing Serum: Increases scalp moisture, prevents drying and discomfort. Biotin: Oil conditioning, inflammation prevention. Clary Sage Essential Oils: Prevents excessive sweat odor and reduces scalp sebum secretion. Citronella Oil: Prevents dandruff, prevents split ends, and relieves scalp discomfort. Lavender Essential Oil: Deep cleans the scalp, balances skin oil, and restores freshness to your hair. Cypress Essential Oil: Improves blood circulation, activates and nourishes scalp. Faciano Conclusion: Intensifies hydration, reduces scalp discomfort, regulates oil secretion, controls oil, provides moisture and gloss, repairs hair, improve hairs shine and hair luster, prevents scalp obstruction, deep clean scalp, avoids excessive perspiration, moisturizes the dry hair, and do both nourish and clean at the same time. Aerosol Powder: Spray and blend with white powder. Brush away. Only good for several days to use between water wash, you can’t use this for whole month continually. Pure Powder: Pour down on hair and scalp, then brush thoroughly. Spray Water (No Rinse)：Spray on the head and wipe it off with a towel. Spray bubble foam: After spraying on the head, wipe it clean with a towel. Paper Towel: Wipe off on the hair. 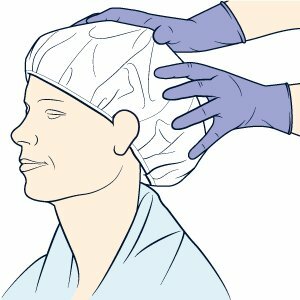 No Rinse Shower Cap: Wear the cap on, massage on the head, and wipe off with a towel. Faciano: Squirt onto hair and scrub with clean towel. Good for use every day even for a whole month. Powder dry shampoo can’t be used for whole month. One bottle for how long using: Spray bottle contains gas, not much volume, it would be used up very quickly. Liquid bottle contents more. Faciano can be used for a very long time. 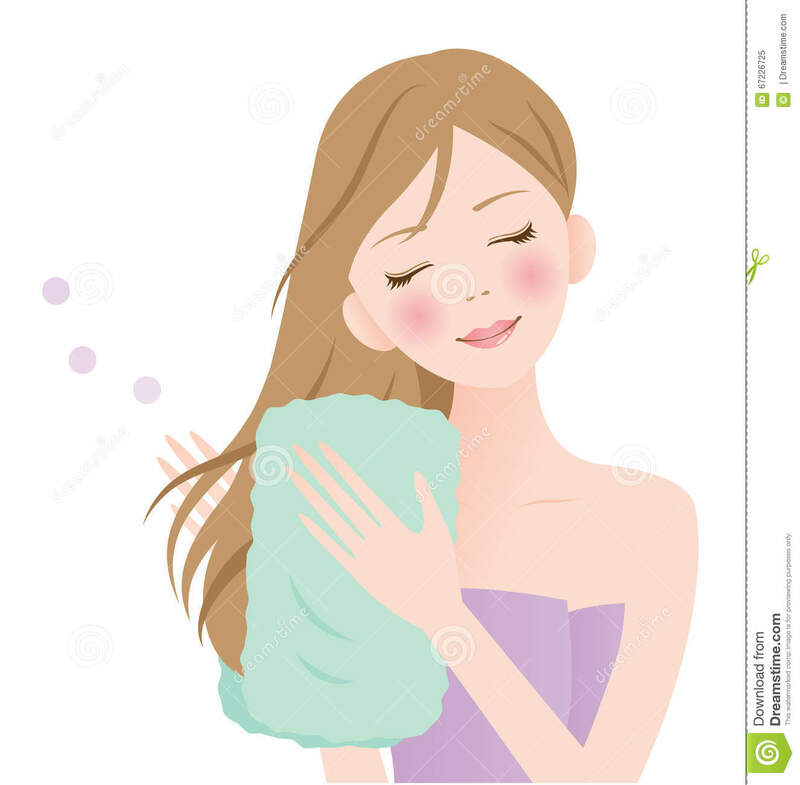 Postpartum Rest: Better not to wash hair during the Postpartum care month because Chinese medicine practitioners say that shampoos cold substances would penetrate into the pores and cause the lochia can’t be discharged completely and accumulate in the body and flow out very slowly. 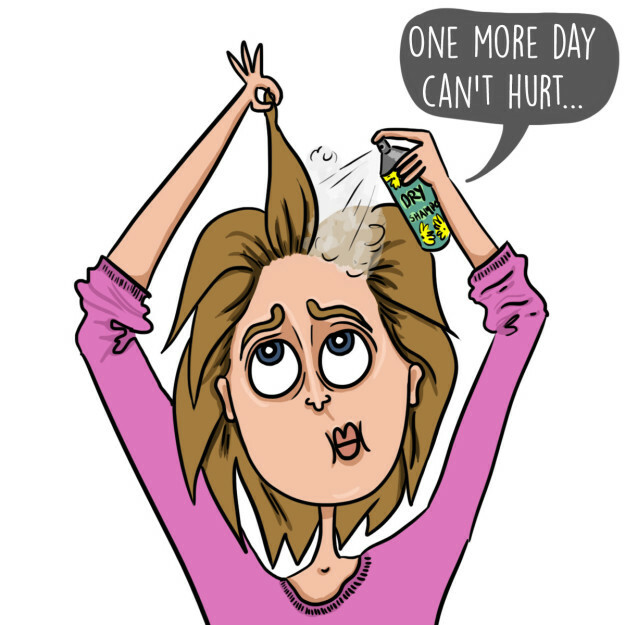 Oily hair: Oily scalp and hair people usually shampoo every day but very envious of whoever wash every two or three days. Daily water shampooing makes hair much oilier. The best way is to use dry shampoo between washes. One in the packing list going abroad: If you live in a place without hot water or hair dryer, or if you go abroad and schedule keeps you too busy to wash hair. 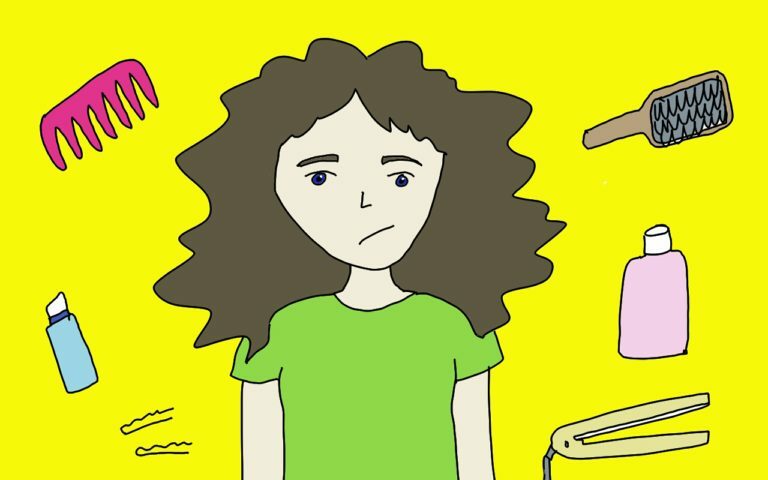 Menstrual Period: Any women have the symptoms like headache, dizziness, and less blood during period. This is the same reason as Postpartum Rest Care. Cold water makes menstrual blood not smoothly discharged. Some women stop bleeding when water washing hair during menstrual period. Hiking: Hair dryer is hard to bring for hiking. There are more important stuffs to carry with, definitely not hair dryer. Maybe even no clean water to wash hair. Camping: Same, more to carry with, not hair dryer. And it’s not super convenient to shower and shampoo at the camping site. 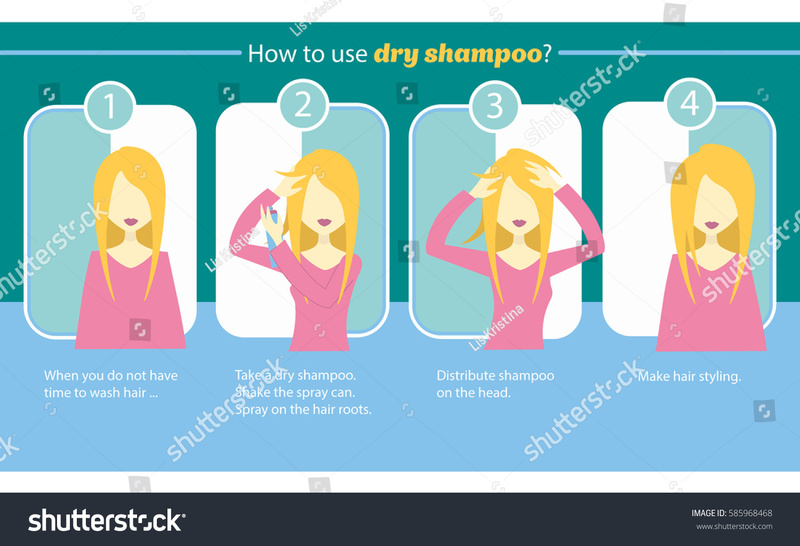 Barbecue, KTV, night club, bar, smoking area, hair smelly: Use dry shampoo to cover up the odor of no shampooing, and get rid of troublesome water washing. Dating or Meetup: Going for a date after work or meet up customers, but no time to style oily itchy hair. Busy: Just being too busy to wash hair. Sickness, Surgery: Wounds near head can’t get in touch with water. Can't get up or no energy to wash hair, and no nurse to take care of. Too cold, too hot: The weather is too cold to stop you washing hair, or too hot that you have to wash daily or even more than once daily. Suitable for lazy homebodies. Styling: Quickly style hair, but styling products hurt the hair. When the hair is messy, usually use hair dew; flat hair, use hair spray; deformation, use styling dew to get the hair hard but not easy to comb. These styling products do not have the function of healthy nourishing hair and only create hair deteriorated. However, Faciano Dry Shampoo can style and nourish hair at the same time. Working Out, Gym: The sweat on the head is mixed with oily smell after working out, but no time and not healthy to shower and shampooing right after working out. After Dye: Being afraid of the hair color fading. Most dry shampoos don’t have safety certificate. Faciano has Ecocert certificate ingredient, which is one of the strictest in the world.